There are different programs that can be used as a DVD audio extractor Windows 10 users could try to extract audio from DVD. For example, you can try using a DVD ripper to rip and convert DVD to an audio file. Or you can try something new, like an audio recorder to record the audio track of the DVD. Both are good and simple ways to get audio from DVD. I will show you how to use the said kinds of program as DVD audio extractors to get audio from DVD. The first program I’m introducing to you is Leawo DVD Ripper. 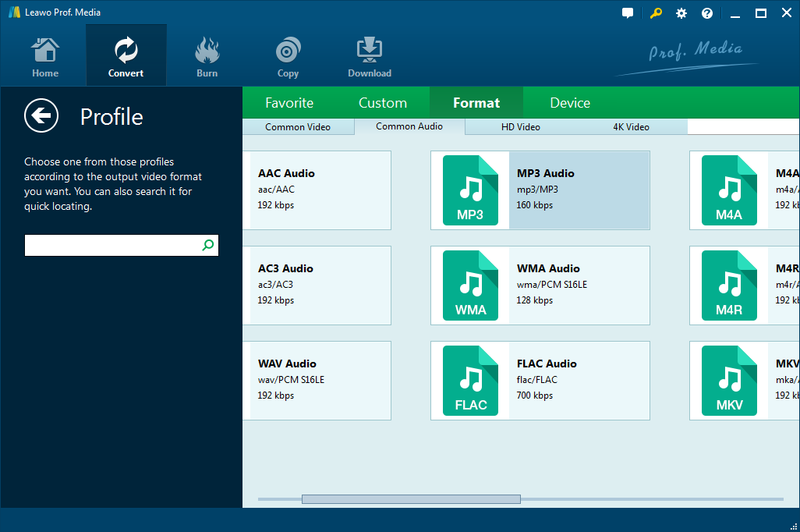 It can help you rip and convert the DVD to audio files in all kinds of popular formats like MP3, FLAC, WAV, etc. It runs nicely on Windows 10/8.1/8/7 as well as macOS. It’s one of the best DVD audio extractor Windows 10 users could find for the job. And it does more things than simply converting DVD to audio files. You can also use it to rip DVD to play on Apple TV or other mobile devices you have as it supports a lot of different video formats for output. It can even rip DVD to lossless MKV, a format that can contain all the original data from the disc to the MKV container without compression. 1. To get the DVD audio on your computer, a DVD drive is needed for reading the disc. If your computer doesn’t have a DVD drive built-in, you should probably get an external one. And Blu-ray drives are downward compatible with DVD disc so if you have a disc drive that reads Blu-ray discs, it’ll work with the DVD discs just fine. 2. The Leawo DVD Ripper is a module integrated into a software suite called Prof.Media and in order to use it, you will need to get a one-year/lifetime registration code for $29.95/39.95 and register the program in advance. If you like the program, you can always go check out Leawo’s official promotion site to see if there are discounts available as the company will contantly put some of their products on sale with big discounts on the page. Follow the instrcutions below to convert DVD audio to MP3 on Windows 10 using Leawo DVD Ripper. Step 1. As is mentioned before, Leawo DVD Ripper no longer function as an independent program but is now packed in a software package called Prof.Media. So the program you will download and install to your computer is Prof.Media. Launch Prof.Media on your computer and when the program displays 8 tabs on its interface, click the DVD Ripper tab or click the Convert button above the 8 tabs to open the DVD Ripper interface. Step 2. 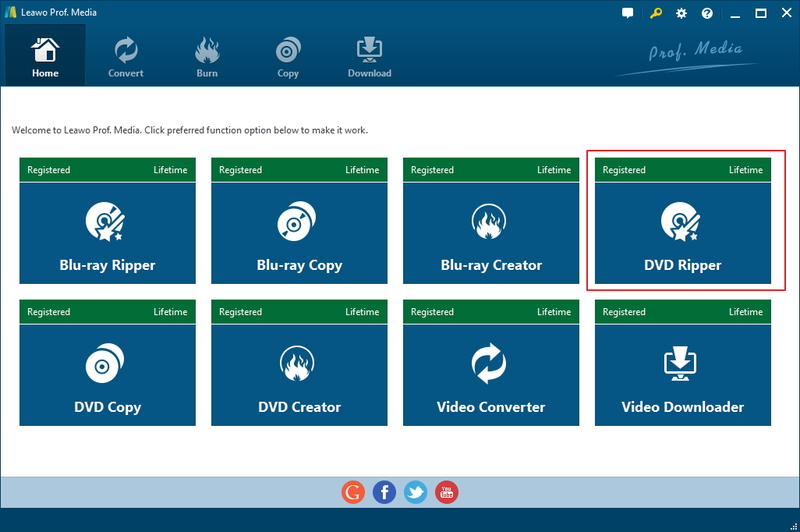 If the DVD disc has been inserted into your DVD drive previously, you can now directly add the source DVD movie to the program by clicking Add Blu-ray/DVD>Add from CD-ROM>[name of your disc]. Another way to import source files from the DVD to the program is through drag-n-drop. Step 3. The following page lists all the videos on the left sidebar, you can select different videos to rip by using different modes above the list. If you want all the videos to be converted into audio file, select Full Movie. If you only need the audio track of the main movie, check Main Movie. You can use Custom Mode to select one or multiple videos from the list manually. The window on the right is the video player for you to play the videos. Step 4. 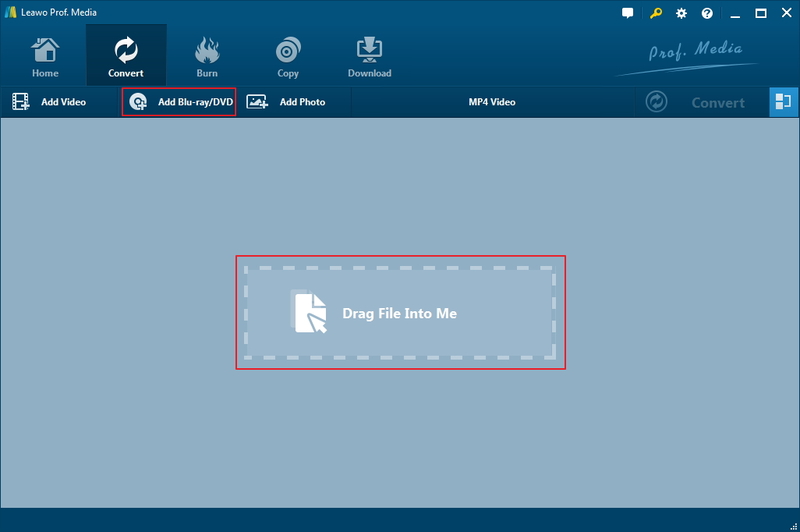 Click MP4 video button and select Change to open the Format panel. 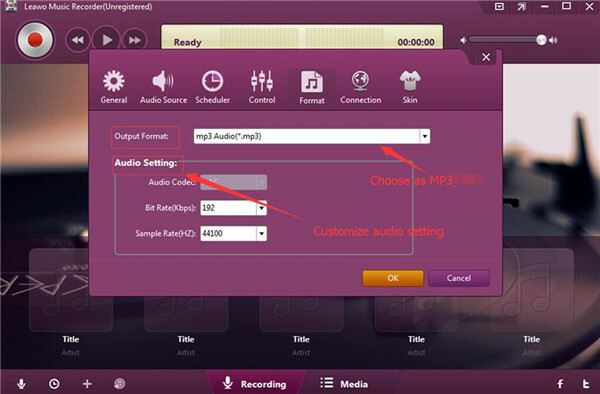 Click Common audio and select an audio format that you think is suitable for the videos. Step 5. Click Convert and set up the output directory for the output files and click Convert at the bottom to start converting DVD audio to the format you just chose. If you want to adjust the parameters of the audio format, you can click the Format button(which is the MP4 Video button previously) again and click Edit. You are allowed to adjust parameters like Audio Codec, Bit Rate, Sample Rate and Channel. Recording the DVD audio is also a good way to get audio from DVD, and it’s simple. You can use Leawo Music Recorder to help you do that. Leawo Music Recorder runs perfectly on Windows 10 and you can record audio from all kinds of sources with it. It’s most commonly used as a music downloader to record and download music from online music websites or music CD. 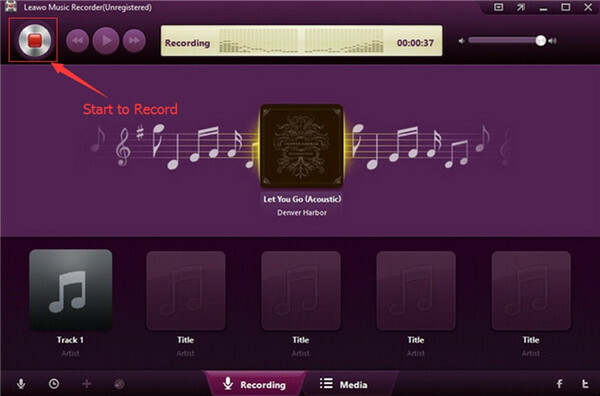 It’ll help users complete music information automatically after the songs are recorded and added to its music library. It also has a timer that you can set to start and end recording. All in all, you can easily use it to record audio from DVD of any kind. Check out how to record audio from DVD with this music recorder. 1. 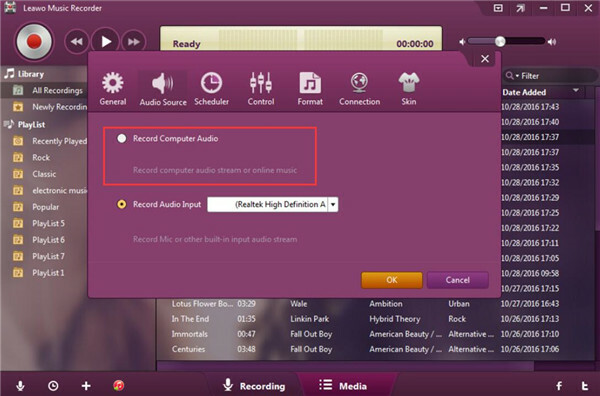 Open Leawo Music Recorder from your desktop and first set the audio source for recording by clicking the Microphone icon in the bottom left-hand corner and selecting Record Computer Audio. 2. On the same window, click Format and select a format for the recordings between MP3 and WAV. 3. Click General and under this tab you will see the default output directory for the recordings. You can reset the output directory on it to help you quickly find the recordings after the recording process is done. And click OK to return to close the window. 4. Click the Start Recording button and then start playing the DVD on your computer. If the DVD contains multiple sound tracks, make sure you’ve chosen the right one. 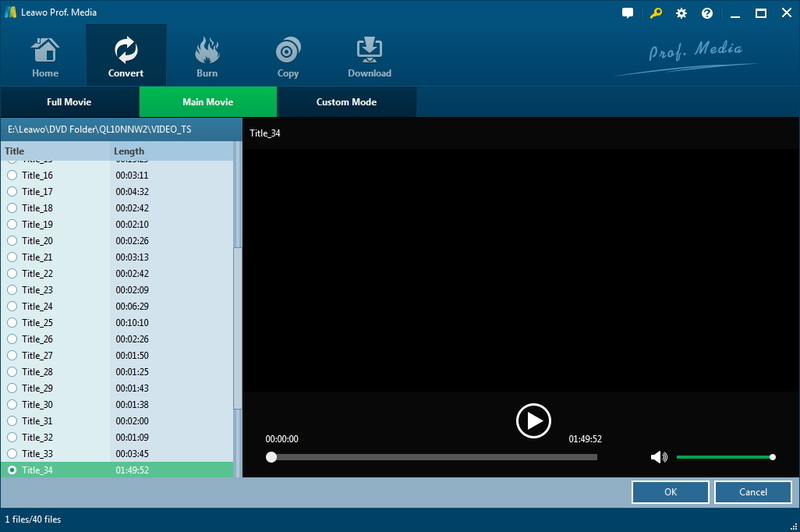 Leawo Music Recorder is a practical DVD audio extractor Windows 10 users could use for DVD audio recording. If you want to keep the DVD to audio process as simple as possible, this is the best choice for you.